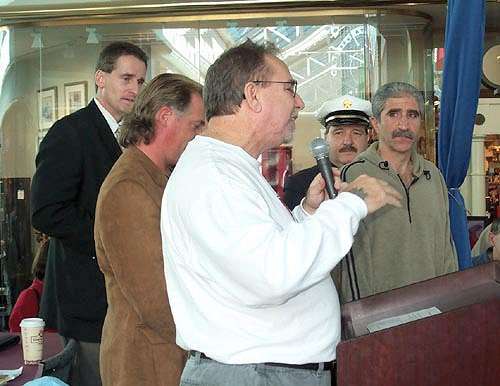 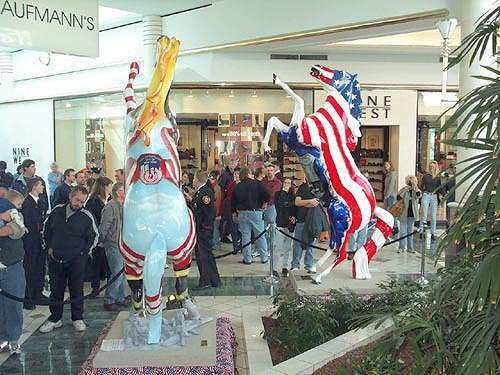 Having had three of the Horses On Parade at the entrance of the building where Infinity Broadcasting has their offices and having often mentioned how much the Horses added to the look of Rochester, the events of September 11 put Brother Wease into action. 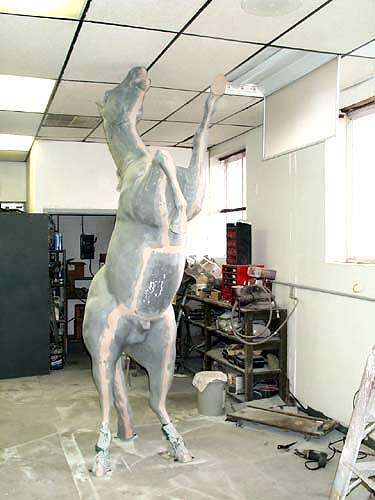 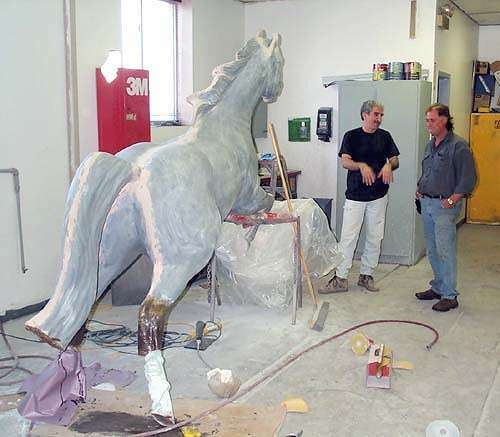 Mentioning the possibility of designing a memorial horse to be sent to New York City he received an immediate listener response and soon had funds for two horses. 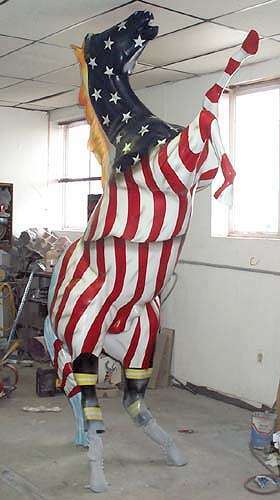 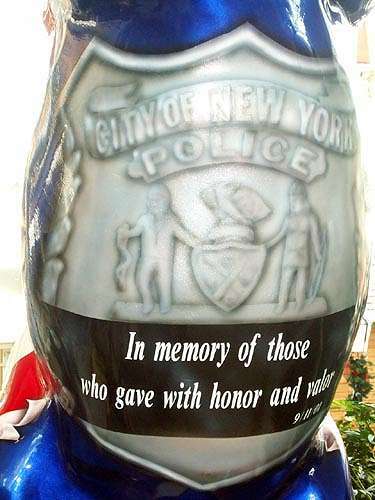 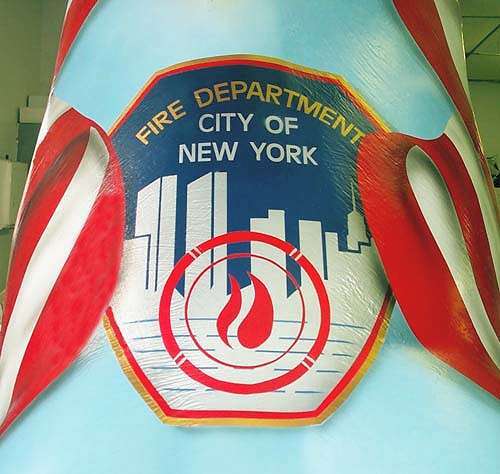 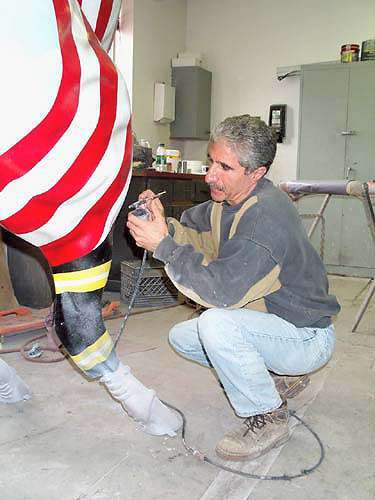 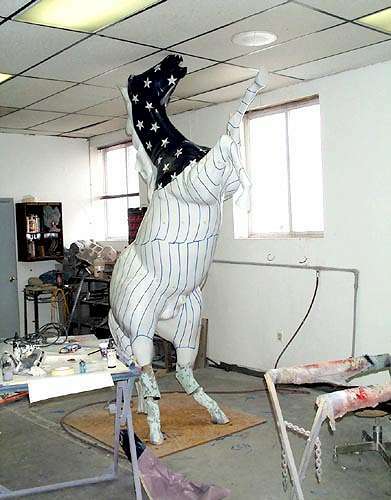 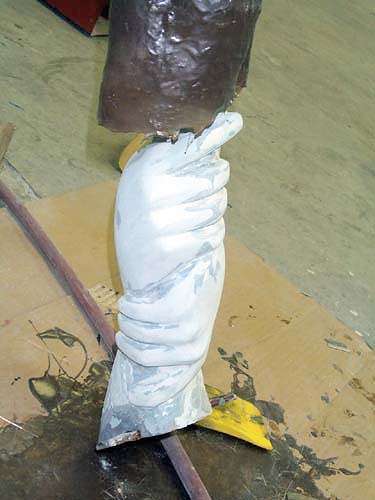 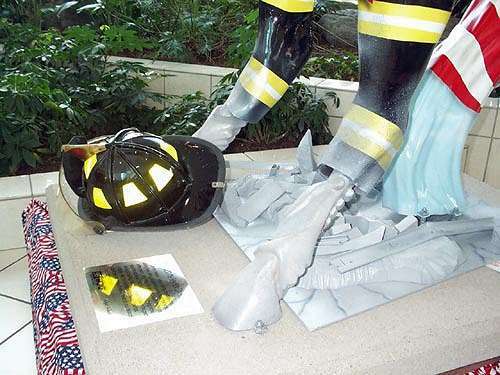 One horse, designed and painted by Anthony Chirico, would honor NYC firefighters and the other, designed and painted by Matt Murray, would honor NYC policeman. 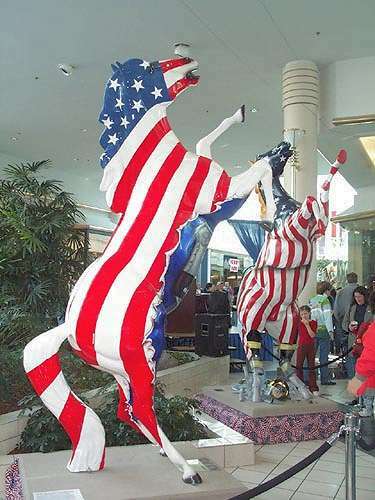 The horses were unveiled on November 17th at Eastview Mall where they will be on display until they are sent to NYC in the Spring.